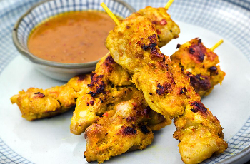 Select from tasty dishes influenced by Chinese, Japanese, Malaysian, Thai and Vietnamese cuisines and create your perfect pan Asian fusion takeaway! 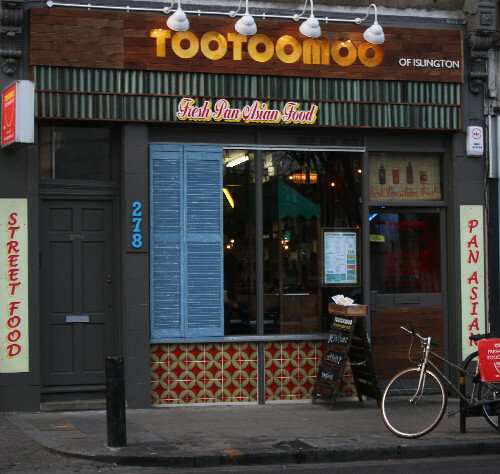 The Tootoomoo delivery catchment from our Islington N1 branch includes The City, EC1, EC2, West End, Liverpool Street and Canary Wharf. Giving homes and businesses lunch and dinner choices that are authentic, healthy, fresh and inspiring; we can create mixed platters for larger parties – and we serve any business from the big city law firms to small independent businesses. Menus are tailored to the customer and we deliver – and if required – serve the dishes – gluten free, vegetarian and vegan dishes are all available too. We use the best ingredients and blend them for well balanced, tasty dishes inspired by the cuisine of Thailand, Japan, Malaysia and Indonesia. 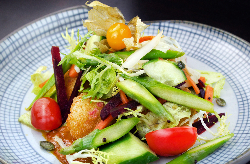 We do favourites from Thai green curry (chicken, prawn or vegetarian) – to sushi, noodles and tempura. Popular dishes are mustard miso salmon (gluten free) and freshly steamed sea bass for super-food healthy and beef rendang for a heartier meal. We deliver cocktails in recyclable mason jars that put an exotic twist on any takeaway. Situated on St Pauls Road (N1), our Islington branch is served by local bus services and is a two minute walk from Highbury & Islington station (Underground, Overground and National Rail).